One of the many things that I love about my husband is the time he takes with our children. 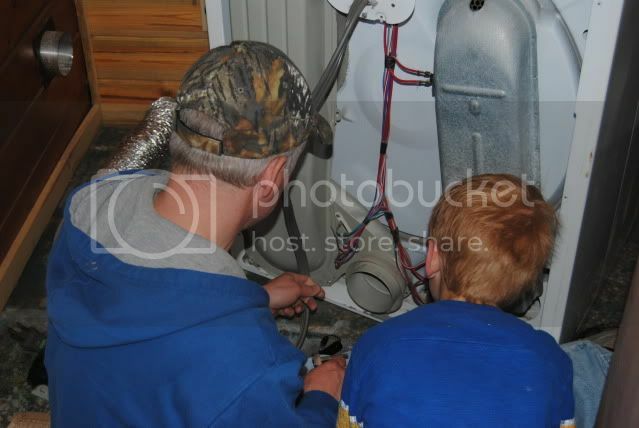 In that picture, Joseph was "helping" Mitch repair the clothes dryer. That is another thing that I appreciate- that Mitch is able to fix most of the things that break around the house. Here he found a problem with one of the heat sensors. (No, I still don't know what that is.) Maybe next month we will even see a drop in our electric bill with this repair completed. He has asked me "do you appreciate me?" At times he jokes about how much we save in not calling repairmen. I am appreciative, but I need to be sure that he knows. 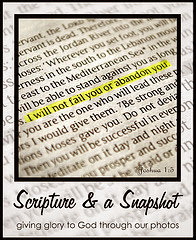 What a blessing your post is today! Our husbands do need to know that they are appreciated. It brings great rewards along with it. I think we underestimate how much it means to our husbands to have our appreciation. Thanks for the reminder! I love watching my husband be daddy and our children just soak up the time they are his little helpers. As much as we want to hear we are appreciated so do they. What a great reminder. It is wonderful how patient he is with your boy. That is lacking in a lot of homes. We may at times look like we don’t need it – but it’s just bravado. Every man wants to be considered the hero of his bride. It means more to him than almost any praise from anywhere. Men need a cheerleader in their corner. And we men need to cherish you - the brides. I really hearted these words today. I appreciate my husband so much, too. I need to tell him more often.